Learning Environments. This ITS unit supports SU classroom technology needs and web-based course management tools. Online Learning Services. OLS is a unit within Information Technology and Services. Their primary mission is to provide leadership and support in the appropriate use of technology for teaching, learning, and research. Future Professoriate Program. The FPP provides structured professional development for graduate students aspiring to faculty careers, with a special focus on the teaching role. Graduate School program videos. The Graduate School maintains a video library of past programs, including several on teaching-related topics. Blackboard for Teaching Assistants. (PDF) This guidebook for TAs on how to use Blackboard was created for the August 2013 Teaching Assistant Orientation Program (TAOP) at Syracuse University. The instructions and images were created using the current version of SU’s online course management system, Blackboard 9.1 Service Pack 11, which was upgraded in June 2013. Creating a Teaching Portfolio. Teaching portfolios are a great way to document your preparation as a teacher, and are required of students nominated for the Outstanding TA award, applying for the Teaching Mentor position, or pursuing the Certificate in University Teaching through the FPP. The Graduate School offers sample portfolios and other resources for constructing physical and web-based portfolios. Critical Incidents in College Teaching. These are a series of video vignettes designed to facilitate discussion of challenging classroom situations. 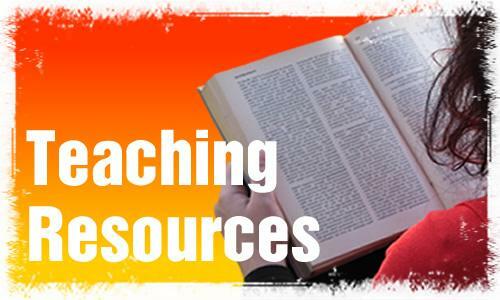 These vignettes offer an opportunity for both new Teaching Assistants as well as seasoned instructors to explore difficult but all too common occurrences.